Isabella loves the outdoors and loves to keep up with her little brother. She has apraxia and epilepsy (among many other things) so it is difficult to balance. She has been riding an adaptive tricycle at physical therapy and she gets so happy to be a big girl!! 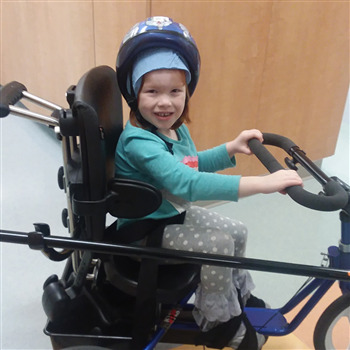 The adaptive tricycle gives her stability with her balance issues and keeps her safe if she has a seizure. She has outgrown her little Red Ryder tricycle. 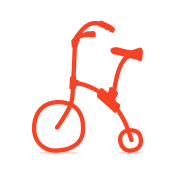 This bike will give her the freedom to get back outside like the other kids. Isabella loves the outdoors and loves to keep up with her little brother. She has apraxia and epilepsy (among many other things) so it is difficult to balance. She has been riding an adaptive tricycle at physical therapy and she gets so happy to be a big girl!! The adaptive tricycle gives her stability with her balance issues and keeps her safe if she has a seizure. She has outgrown her little Red Ryder tyke. This bike will give her the freedom to get back outside like the other kids.